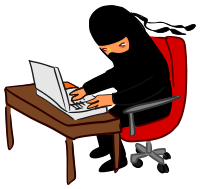 How does the ninja work?- The ninja uses the most up-to-date 2017 data and instantly searches for coverage in your specific census block, not just zip code (there are over 11 million census blocks vs. only 40,000 zip codes). I own/work for a small ISP and we are not listed. Why not? - Did you file your FCC form 477 report? In the US, all facilities-based providers of broadband connectivity to end users are required by law to file FCC form 477. See the FCC 477 page for more information. How can I help? - We could totally use some help spiffing the website up. See our contact link below.